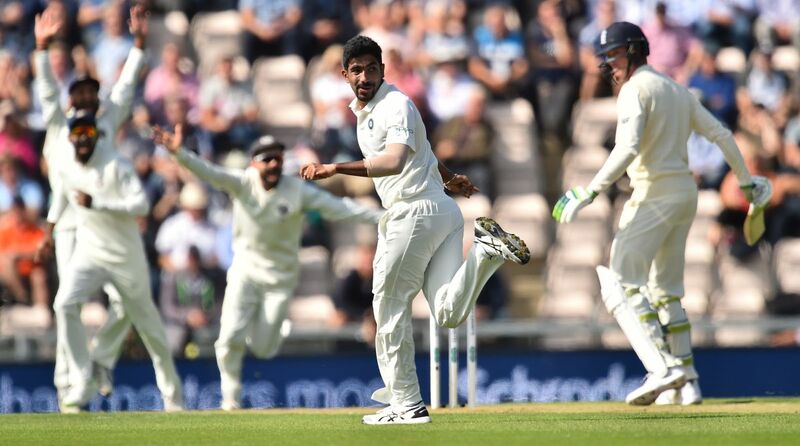 Star Indian pacer Jasprit Bumrah gave Virat Kohli’s side their first breakthrough by trapping Keaton Jennings between the wicket on the first day of the fourth Test match at Rose Bowl, Southampton. The 24-year-old pacer first set up Jennings by bowling two outswingers and then bowled an inswinger to catch him off-guard. The delivery, which gave Bumrah his first wicket, swung a massive 3.77 degrees. Lawrie, that ball from Bumrah would have trapped the best player in the world, He had never bowled this particular kind of ball before. It was almost a freak delivery. Jennings cannot be blamed for the manner in which he was trapped. John, with respect, that delivery was as unexpected as a visitor from Mars! Bumrah had never bowled anything like this ball before. It would have trapped any batsman in the world with its ‘illogical’ swing. A fantastic delivery. It’s a critical point at which the batsman has to deal with a ball at almost 90 mph – and this was the first of the morning to deviate so late and from its usual trajectory. Not the kind of ball Jennings needed in his current form I agree, but he can hardly be blamed. Think Jennings could have played it better – well, he didn’t play it at all! Shape to defend so, if it moves unexpectedly, you have at least a chance to adjust. If you shoulder arms to a ball pitching on left-hander’s leg stump and it moves, you’re stuffed. Jennings out playing no stroke. I refer you to my 900 previous tweets on this subject. Sure he’s a lovely fella, but he’s not a Test opener, in any way. RIP Keaton Jennings Test career, clueless idiot. England have a lead of 2-1 in the ongoing five-match series.